In 2005 according to a government report, two thirds of private money in SA banks belonged to males. Despite representing over 50% of the population only one third of assets were owned by women, and even less by previously disadvantaged or non-white females. The Presidential working group on Women (PWGW) was set-up to work on issues specific to Women. A sub-set of this group were tasked with identifying and developing financial solutions specifically suited to the circumstances of women in South Africa, with an aim to empower them and shift the balance of assets. In particular they would address retirement and investment activism – the development of solutions which would aid this vulnerable group to safely create their own savings for retirement. This is particularly relevant to women who are currently under-represented but who statistically are most likely to live longer and often have many dependencies (particularly grandchildren due to the impact of Aids). The working group was to be one of the most impressive steering groups that Kerrie had ever had on a programme. “I felt privileged to work with them”. Here were ten highly successful women from a variety of sectors – and not just finance. 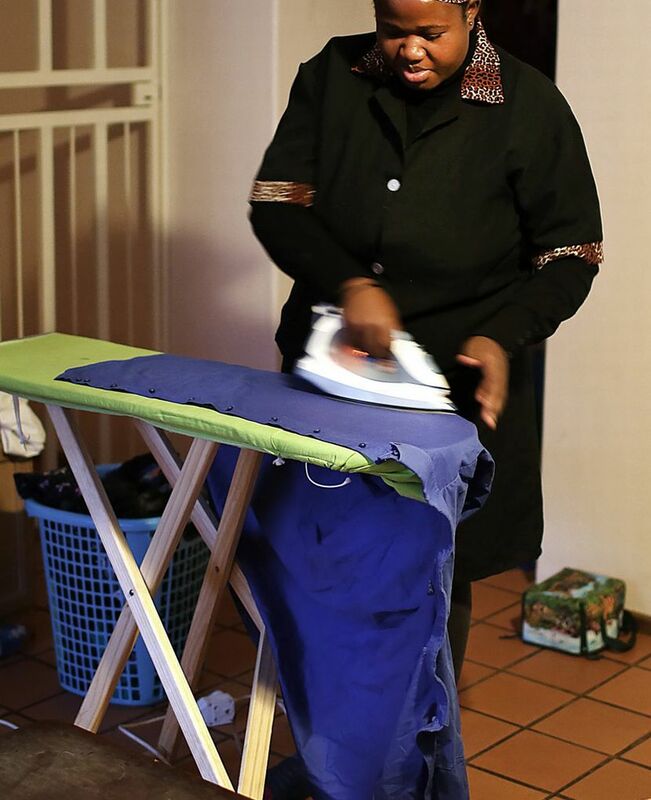 They included for example, the Business Woman of the Year and the Secretary General of the Domestic Workers Union (part of COSATU). “I really felt I experienced the feeling of Ubuntu in this steering group” commented Kerrie. All were determined and committed to making a difference, as evidenced by the fact that at the peak of the programme activity, this busy group managed to free up time from their diaries to meet almost every week to consider and resolve the issues faced by the programme. At the time Retirement Reform was a key topic in the Financial Services industry. Therefore developing a programme with this group to respond to the need in the face of reform showed the Industry was open to new solutions and to supporting these previously un-serviced groups of women “This effort fell within a larger Programme in response to Reform which had a full-time sponsor, 20-30 full time staff and at least 8 project managers plus its own PSO”. The structures and governance around the programme were really well set-up. “We knew what was expected of us, and communications were regular, focused… and mandated”. All of this adds up to a lot of stakeholder engagement. Kerrie is passionate about this subject. “For me stakeholder engagement occurs when you not only know who your stakeholders are, but you really do something with that information”. To surface the issues and create real debate, workshops and meetings were structured to bring together different agendas – actuaries with union representatives – financial experts with non-financial experts. As Kerrie commented, “Sometimes that means choosing the people you put in the room together carefully” – for example actuarial science is such a technical subject we deliberately chose somebody who could perhaps empathise with the more strategic and socio-economic agendas of our external stakeholders – there needed to be at least some common ground – and more importantly we chose a woman!, a rather rare phenomena in the world of Actuaries!.”. Crucial to making the programme work was good governance. This programme had a very influential, a very active and high profile external steering group as well as internal groups of stakeholders who had to be engaged to deliver practical and sustainable business propositions. Right from the start the external steering group had adopted a style of active (sometimes aggressive) debate which would result in decisive actions. “I don’t think we were once delayed by lack of decision making by this steering group, which considering the size of the group and the other commitments these people must have had, was amazing”. Our meetings were very well structured – the project managers would bring a precise view of the issues, and decisions we needed input on to the steering group meeting. We would then leave the room –and when we returned – we were given the groups decisions, clearly defined and easily documented. There was real respect for the process and our respective roles in the process – they took the decisions and we provided the technical input and advice.” The internal political positions and dynamics of the steering group seemed to be particularly well understood by the group members. Wherever possible they would provide a decision on the day, but they also knew intuitively who should be involved in what decisions. If a member was missing – somebody they felt had a critical input – they might defer a decision, but they also took away responsibility for resolving this with the missing member. In some controversial areas, despite debates, no consensus position could be reached across the group. In these cases their advice was often to shelve the proposition. “Sometimes we didn’t want to hear that answer, but, as we soon came to learn, their judgment invariably proved to be right”, commented Kerrie. Some initiatives are so stakeholder sensitive that without the full backing of the critical stakeholders there is no point in going forward, no matter how tempting the prize might look. The programme team was big. “We were a very strong team with huge drive and enthusiasm for our goals. There was a great sense of purpose and belonging to something very special”. Strong team association is great for motivating staff but it can lead to resentment outside the programme – a feeling of us and them. Programmes, at least those designed to transform the business, must not isolate themselves as at some point what they deliver has to become part of mainstream business. The more isolated the programme becomes –the harder it is to make this transfer and realise sustainable, operational benefits. Kerrie’s main projects focused on the development of a retirement product for Domestic Workers, though they are often formally employed on low wages they do not usually attract traditional employee benefits. “One of the things we really got right in this project was to connect early on with stakeholder groups external to the programme. We needed a delivery process for the products and that meant selling the ideas to the right Business Unit with responsibility for this particular market segment. Without their support and buy-in, then all we had was a good idea”. Working with this group the project could also focus on the end-game…the marketplace. This was a unique product largely because of the way it had come about – because of the immense consultation with the PWGW. “We needed to sell the context as well as the product itself”, commented Kerrie. “To do this we invited the media into some of our workshops so they could see and understand how the impact of reform would change future products”. It worked! When the products were launched the press hailed them as new, innovative and something to be proud of in the financial sector. Initial sales figures were excellent. Stakeholder engagement was everything on the project I was involved in. The relationship with the external steering group was crucial. For me the important thing is to engage with stakeholders in a way that makes sense to them. Allow them to lead and take the decisions – our job is to facilitate making it happen. Connecting with operational stakeholders is essential – we were the first and by far the fastest project to move our products into operational practice. All stakeholders must be engaged – even those who might not be interested… yet. Governance structures on such a large programme are essential. We were clear about who could make what decisions. The governance also provided a safety net for project managers to escalate concerns. Something I really appreciated when at one point I had to raise a code red on the project. Programmes in start-up and close are different and may require different management and leadership styles. The first 3-6 months of the programme were typified by large amounts of energy and engagement with our external stakeholders. But increasingly the business managers external to the programme were unhappy about what was happening. We were too big – taking too many resources – not connected. New management came into the programme and started to fold projects back into the business line – reducing our demands on the business and integrating change back into the business. This was not an easy transition, but looking back on this I do think it was essential. Perhaps the leaders who start a programme are not always the best ones to ensure it gets properly operationalised back into the business. My thanks to Kerrie Taylor for taking part in the Success Stories Shared initiative. I liked this – especially the lessons learned summary at the end.